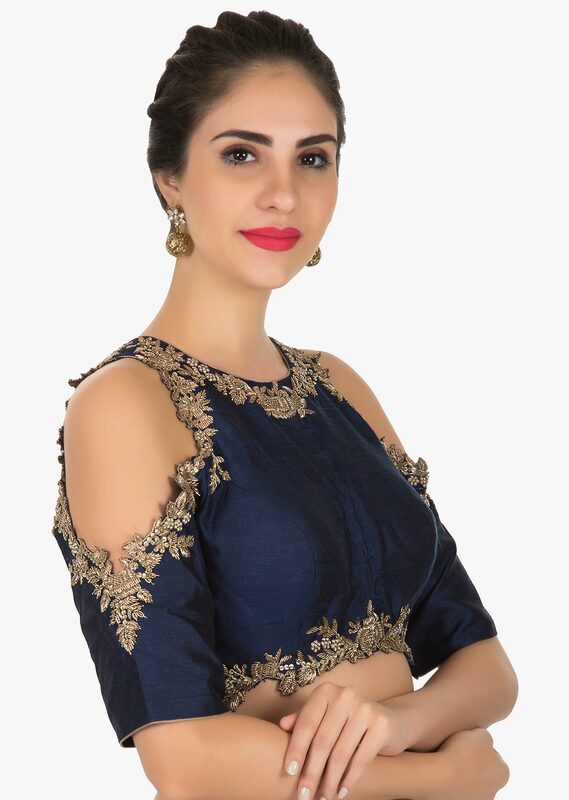 The navy blue blouse is featured in raw silk fabric. 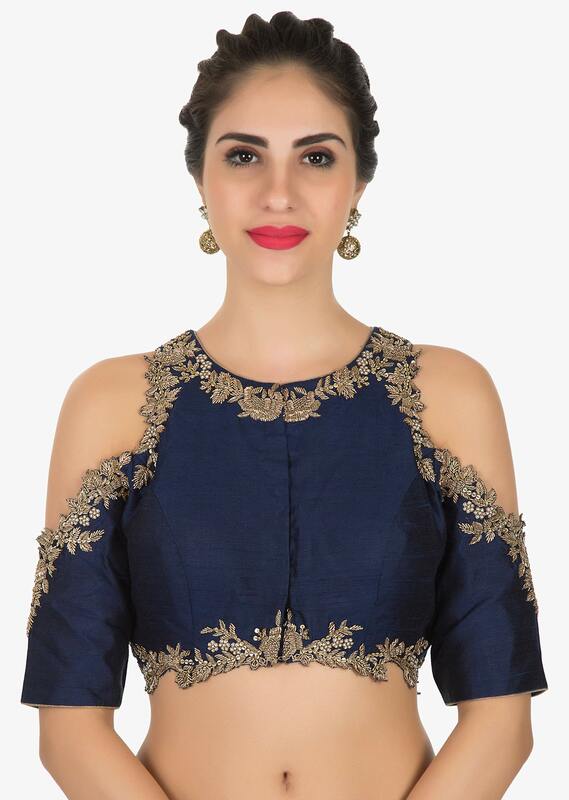 It is beautified at the borders using the zardosi embroidery with sequin detailing. 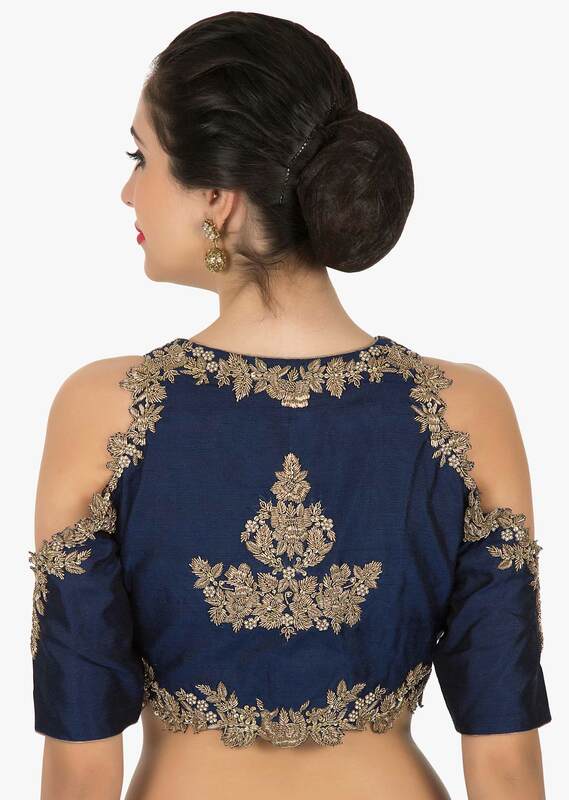 The blouse is enhanced in cold shoulder sleeves flaunting the embellishments on the back too.